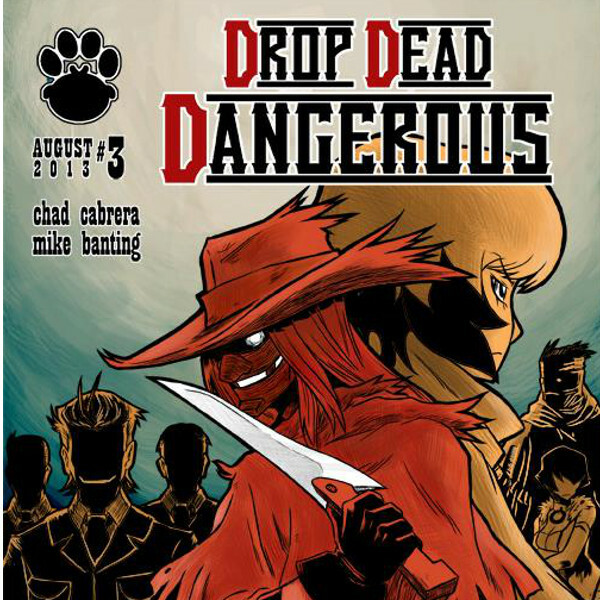 Writer Chad Cabrera, with his collaborator Mike Banting, brought us to a weird, wild west with his first self-published comic book, Drop Dead Dangerous. The 29-year old writer-graphic artist also now dabbles in web comics with The Monstrous Manhunter. 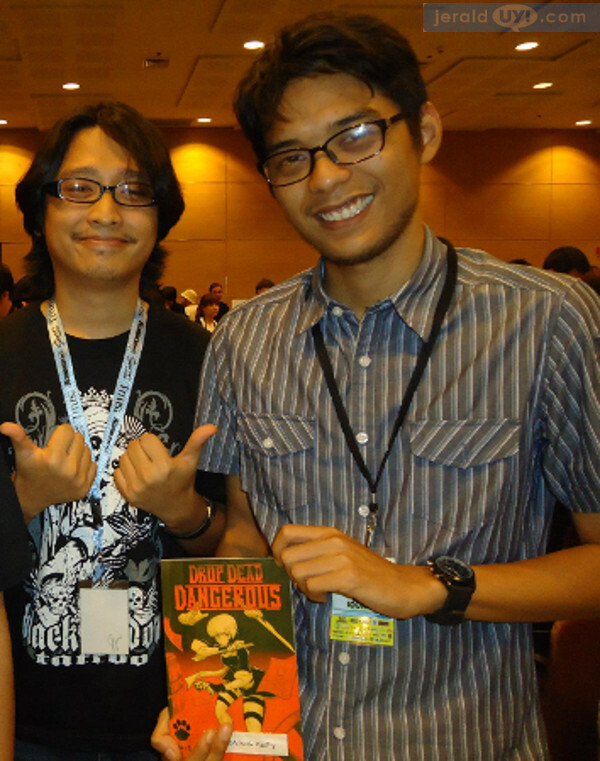 I had a chance to talk to him recently on self-publishing and what we, creators, need to work on in our comics. Jerald Uy: First, let's talk about your comics. Both of the titles you're working on right now are very horror-oriented. 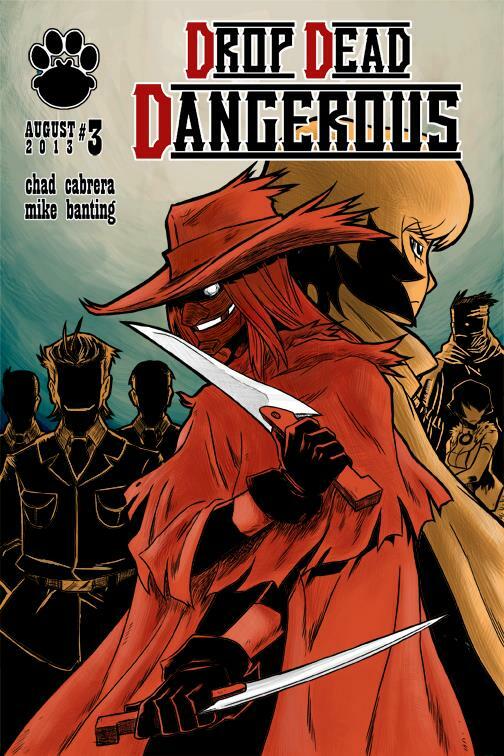 Chad Cabrera: Yeah, Drop Dead Dangerous is a murder mystery/slasher with a Wild West motif and lots of action, while The Monstrous Manhunter is more of your typical, b-movie, monster-in-the-woods-type story. J: Why did you choose to tell these stories? C: It's hard to pin down exactly why I chose to tell these stories specifically, but a lot of it is influenced by the sort of fiction that I consume and my attempts to replicate the themes I enjoy. Ultimately, I think it's about self-expression and human desire to communicate our identities, or to create things that are extensions of that identity. Horror is just a genre I strongly identify with right now partly because it's so liberating. J: You made digital copies of Drop Dead Dangerous available on online stores DriveThroughComics, Graphic.Ly and Balloon'D. Do you think it is a better route to self-publish than find publishers? C: This is a bit difficult to answer because I've never had any experience working with a publisher. I would guess that the publisher offers a heck of a lot more security and, in turn, allows you more time spent working on the craft and improving your artistry than trying to squeeze in time for comics while being busy making ends meet. That said, judging by the work alone, I don't think I've seen a noticeable difference in quality with comics backed by publishers and those who are self-published, so I don't really know if it's all that beneficial to the art form. In my view, the best thing a publisher can offer you is better marketing, and access to channels you can't reach independently— the big bookstores, marketing resources to reach a bigger audience, etc. I don't know how short the leash they're willing to give you is, in terms of creative freedom and ownership of your work, though. I don't know how that relationship works and when you stop being an artist and start being an investment. Whereas independently, we can do whatever we want with whatever subject matter we please. I think that freedom from publishers is what allowed us the diversity we're seeing now. With fewer comics relying on publishers, the product has become a lot less homogenous than it was decades ago. There's advantages to both, certainly, but it's up to us, individually, to weigh what we're willing to give up going one way to reap the benefits of the other. J: There are hundreds of indies now. I've lost count. How diverse are the local comics now? C: Extremely! The Philippine comics scene is a veritable melting pot of styles and genres, I don't know if there's ever been a more exciting time to see the sort of stuff the local creators come up with. There's always something new and different, and that just makes the scene more and more interesting. J: But do you think we have enough comics to say that an industry exists? C: I don't know if I'd call it an "industry," exactly. More than just producing a great deal of creative output, I think our working conditions need a stronger economic foundation before we get to that point. I do believe that there's more than enough comics being made in the country right now, but a lot of them are being made independently, without financial backing and security, and the differences in quality between those that get financed and those who don't seem somewhat arbitrary. We first need to find a way to better monetize our efforts in a manner that's standardized and reliable before we can start calling ourselves an industry. But, from a purely creative standpoint, it's easy to see that the local comics scene is healthier than ever even when all we have to go by is passion and love for the medium. A steady income generated by our comics work would be great. J: What do you think of the new comics creators? C: Unfortunately, I haven't been able to meet that many of the new creators. Actually, I still think of myself as a newbie, since I haven't really put out that many works in the time that I've been doing comics. I think the newer people have had the opportunity to learn from their predecessors and have the added advantage of being more willing to experiment. On top of that, they're doing comics at a time where technology has become available that allows us to do our work faster and easier. From a purely visual standpoint, it's mind-blowing how good the new crop of artists are in spite of how young they are because they have the means to get better at an exponentially faster rate. We have no shortage of artists here that are as good, if not better, than the ones they have abroad. If there's anything they could improve on, it's the other side of comics: writing. There's certainly not as many impressive writers out there as there are artists, and it's the biggest thing we need to work on if we want to elevate the medium. J: You said it. We do have a lot of talented artists, some of them are now working for international publishers. Why do you think we do not have publishers here that solely print comics? C: As with most things: money. Even the big publishers from the biggest markets in the world, US and Japan, aren't seeing the sales figures they used to decades ago, and print media, as a whole, has been struggling to keep up with digital and cheaper alternatives. Publishing, for some reason, is still a very expensive venture, and it's understandable that companies aren't willing to invest in a product that hasn't been proven to be economically viable, with a market share that's shrinking around the world. It's even less likely that they'd take risks venturing in an "industry" as niche as comics when they don't have the experience, knowhow, and financial motivation to engage with that product's audience. Things are starting to look more promising though with a few more publishing houses seemingly willing to take that risk, so it'll be interesting to see what the future holds. It may be a sign that the market for local comics is becoming much more lucrative, at least for the more mainstream-type works. J: Yeah. Plus, we have local comics retailers that are really supportive of these indies. C: It seems that more and more of them are willing to devote shelf space to local comics, which is sort of a big deal for retailers to do considering we're taking up valuable real estate that could just as easily be reserved for products that will make the retailers more money. A lot of them have been very encouraging to the local comics creators, to say the least. Note: A portion of this interview will appear on RED Magazine including inputs from some of the country’s established and up-and-coming talents.